Contemplating about what to wear to work? Here’s a simple work wear guide from Monday to Sunday that will be your ultimate wardrobe changer! Beat the Monday blues with a pop of bright pink and add summer spirit with hand crafted silver bangles. 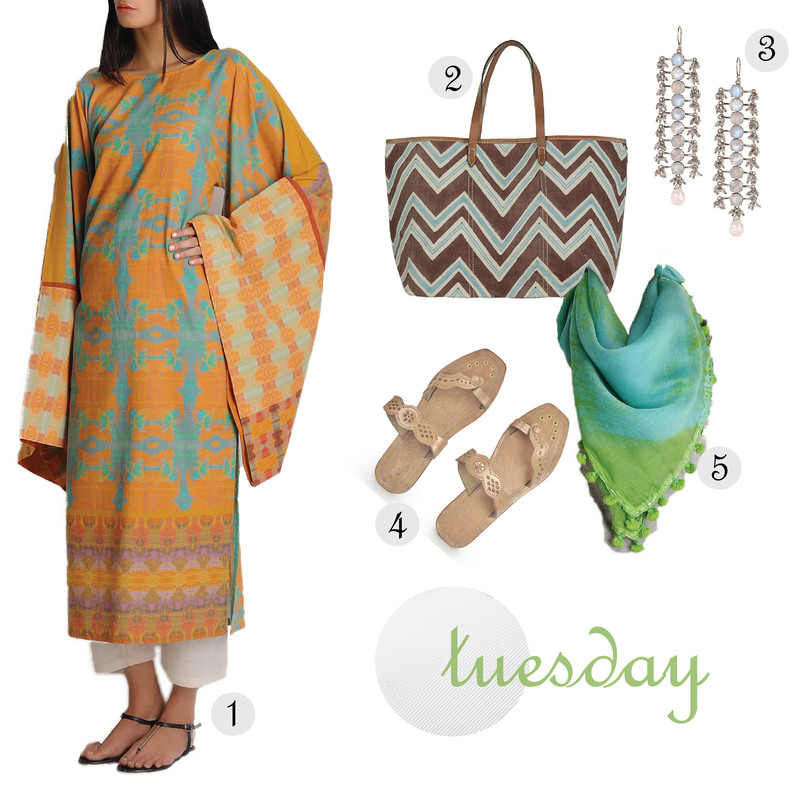 Borrow Tuesday inspiration from the Far East with a flowing silhouette and accessories in earthy tones. Embrace Wednesday with a navy shibori dyed silk dress and quirk up your look with a colorful hair accessory. 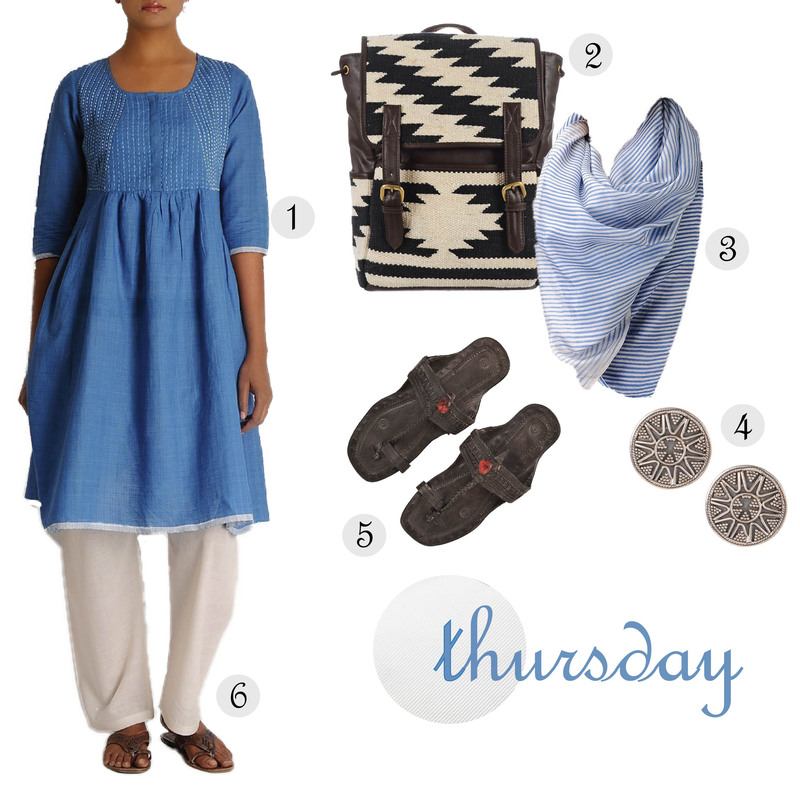 Breathe style and elegance in a blue kantha kurta and bold silver earrings for an effortless look on a Thursday. Making plans for the Friday evening? This shibori dyed silk dress is perfect for a summer day to evening look. 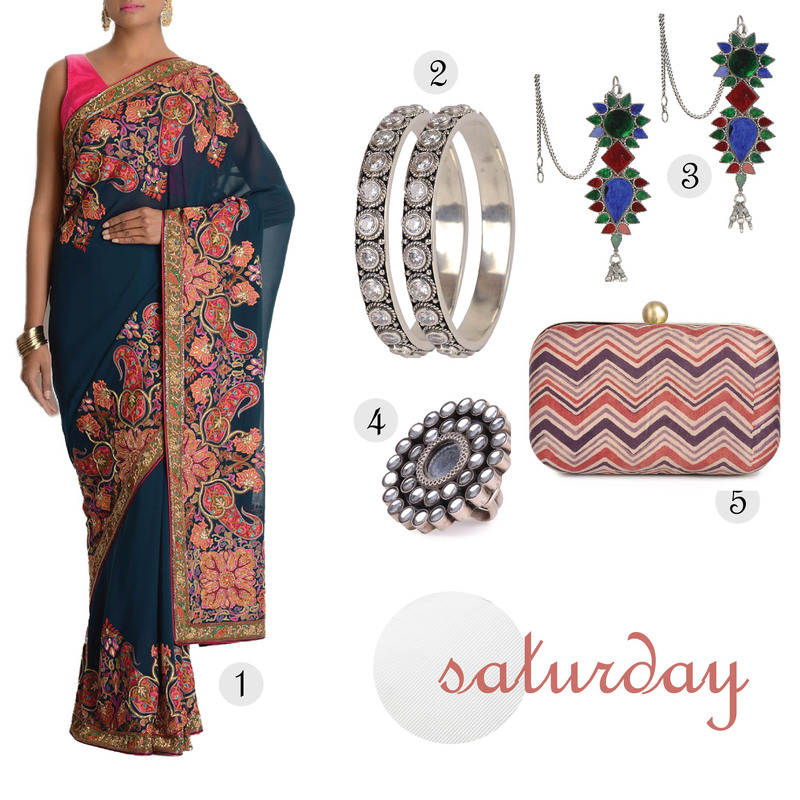 Add glamour to your Saturday evening and make a style statement in a Prussian blue sequinned saree. 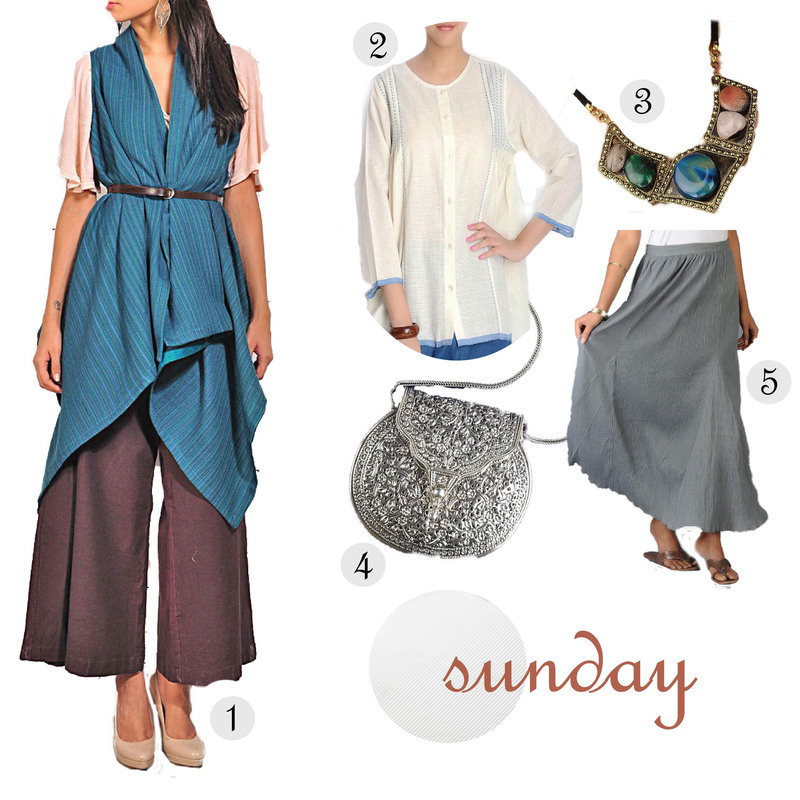 Comfy silhouettes and summery hues are just what you need for a fun Sunday attire. Tell us, which look would you sport? Posted in Crafts, Embroidery, Jaypore, Jewelry, Sarees, Textiles, Weaving, Women, Wondrous India and tagged accessories, bag, clutch, colorful, Cotton, Crafts, Dress, earrings, Ethnic, evening, fashion, Friday, glamour, handcrafted, India, Indian, inspiration, jacket, Jaypore, Jewelry, Monday, necklace, palazzos, pink, ring, Saree, Saturday, shirt, shoes, shrug, Silver, skirt, style, Summer, Sunday, Textiles, Thursday, Tuesday, Wednesday, work wear. Bookmark the permalink.